A few passing clouds. Low near 40F. Winds ESE at 5 to 10 mph. 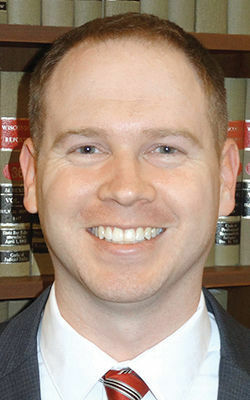 Walworth County Judicial Center in Elkhorn, Wis.
Wiedenfeld told other members of the Criminal Justice Coordinating Committee that his concerns are a matter of public safety. But his statements led other members of the committee to speak out in favor of the programs. And while there were procedural challenges and debates about who gets into treatment courts, the human impact hangs over all of it. In late 2016 and 2017, six people overdosed and died before entering drug treatment court after being made eligible for the program or after being denied entry and receiving different sentences, such as probation, said treatment court coordinator Katie Behl. Meanwhile, there were open spots in the program that is grant-funded to fit 25 participants. Wiedenfeld said he requested more detailed eligibility criteria for program entry. He was more concerned with drug court instead of OWI court because the latter has more explicit rules as to who can and cannot enter the program (only third- and fourth-offense intoxicated driving offenders). OWI court started in Walworth County in October 2011, and drug court in July 2014. Without final say over program entry and clear criteria, Wiedenfeld said he was worried about safety. There could be participants who don’t have a violent felony offense but have a history of domestic violence, he said. Or perhaps drug dealers could join the treatment setting and take advantage of potential buyers. Behl responded by saying research shows violent offenders do better than nonviolent offenders in treatment courts. She said there’s no research, negative or positive, about drug dealers in such courts. Reddy asked Sheriff Kurt Picknell and Elkhorn Police Chief Joel Christensen if they had safety concerns with treatment courts. Christensen said they always must consider public safety. Picknell agreed that they will always be cautious. On the topic of public safety, Clerk of Courts Kristina Secord said all but one relevant case from 2017 that did not go to drug court ended with probation. How would that be safer than treatment court? Wiedenfeld said sentencing decisions are not always up to him. But in plea deals, he said, they consider when people go through intensive treatment on their own. For some, that’s better than drug court, he said. But Reddy said length of time in treatment has a direct effect on outcome. A 30-day treatment program does not compare to the average for drug court, which is 86 weeks. This is especially true for opiates and opioids, said Carlo Nevicosi, of the county’s Department of Health & Human Services. While he was incarcerated between 2005 and 2011, Ted Hawver spent time in solitary confinement. The treatment in the penal system, he said, is “not up to par” with what Walworth County’s treatment courts offer. He graduated from OWI court and spoke during the public comment period at Tuesday’s meeting. He said he has been sober for about five years. “Treatment court gave me an opportunity to change my life,” he said. Wiedenfeld said he and others on the committee support treatment. But he also said he thinks there should be stronger sentences on drug cases, and treatment is not an entitlement but rather an opportunity people should act on. Walworth County Board Chairwoman Nancy Russell said “taxpayers are not gonna be happy” if the treatment courts go away. Behl said OWI court has saved $2.7 million after saving more than 41,000 days worth of jail supervision. The average graduation rate in drug courts increased to 59 percent in 2014 (Walworth County’s is currently at 56 percent, up from 44 percent in 2016). Drug court reduces crime by as much as 45 percent compared to traditional sentences. 75 percent of drug court graduates remain arrest free at least two years after leaving the program—compared to just 30 percent of individuals released from prison. Picknell said all those in attendance at the meeting showed the “desire” and “resolve” of the group to find a solution. Committee members said they planned to meet again to further discuss the subject. This is Hailey M. Beles' dilemma: Her difficult childhood and the drug addiction she is trying to recover from might have robbed her of an essential tool in that very recovery.